Hi welcome to my A&R Trucking page also know as A&R Logistics. Please Bookmark this page so you can come back to it. I am a 15 year driver with A&R and this is a great place to work starting Drivers average $65000+ a year. This includes loaded pay of $.50-$.57 a mile, plus Interplant Pay, Cancellation Pay, Load and Unload pay, Delay (no sitting around for free Hourly pay after 2 hours), Layover Pay and Breakdown Pay. The current sign on bonus is currently $3000-$7000 depending on what terminal you run out of. This is subject to change monthly. So now is the time to make the change, these sign on bonus are not going to last forever. Read How I made over $94000 a year as a company driver wth A&R Logistics. A&R Trucking Minimum 21 years of age. 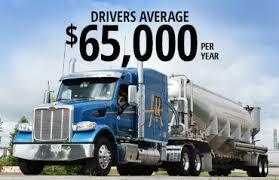 Have valid Class A Commercial Driver’s License (CDL) from their state of residence. Have no DUI/DWI, impaired-driving or implied-consent convictions within the past 3 years. even if they stay in the truck. Truck age not more than 6 years unless in excellent mechanical condition. Truck must pass DOT inspections. At A&R Trucking we maintain a fleet of 800 trucks and 1,200 trailers, with an extensive network of 23 terminals and 10 warehousing/packaging facilities nationwide. We’re continually investing in the technology and training needed to maintain a superior level of service, staying far ahead of the industry curve. Local drivers must live within a commutable distance from the terminal and are home very night and weekends. Some loader positions available, Regional drivers are typically home 2-3 nights out of the week and most weekends. OTR drivers stay out at least 10-14 days at a time. At A&R Trucking we pride ourselves on our work ethic. We do more than drive a truck – we’re highly skilled operators of pneumatic vacuum trailers. Your freight will consist of plastic resins in the form of pellets and powders. No experience working with this type of equipment? No problem. We’ve built a comprehensive training program that will position you for success—in our organization and in your career. You’ll be paid while you’re learning and we’ll even take care of travel and lodging expenses for your one-week training orientation. Training pay $160 a day. comfortable and confident in your skills and training. If you are interested in applying to A-R-Trucking you will be redirected to another page where you can fill out an online application. All I ask is that you please place my name on the Application. It can be found on the General information page, How did you hear about us, referred by current A&R employee. Billy Johnson,Jr Columbus, OH. Please remember to add my name to the application very important. Not quite ready to submit an application but would like to ask a veteran trucker a question or after you have submitted your application contact me and I will try to answer your questions and I would like to track your application so I can fast track it. If you have any questions you can use the Contact button above I will be glad to assist you. I am looking forward to hearing from you and working with you.